'Tis the week of Christmas... can you believe it? I've been having so much fun catching up with visiting family members that this blog is a little bit late. Last night I attended the LA Ballet's performance of the Nutcracker with the girls at London Sole. It was a brilliant performance, as ever. I especially enjoyed seeing principal dancer, Allyssa Bross, as the Rose during the dance of the flowers. I got to meet Allyssa at the Santa Monica Art Walk several months ago. She charmed the audience with her beautiful dancing. This week's video message gives you my good tidings for the season and also shows you my houseguest appropriate presentable pajamas: the Victoria's Secret Sleepover pajama. It is very common this time of year to either be a houseguest yourself or to have people staying over in your home, and it's nice to have pajamas that you'd be happy to be seen in! I will be taking a short break from the blog in the next two weeks. I hope you have a magnificent holiday break as well. If you'd like to join us for our next book club, don't forget to pick up The Untethered Soul by Michael A. Singer. We will be starting the book club discussion in late February, so there is plenty of time to read it. Please watch this week's video to hear my holiday message to you. If you are unable to see the video above, click here, look in the sidebar of the blog, or visit my channel: www.youtube.com/TheDailyConnoisseur. In case you missed my three holiday hair tutorials filmed at BYUTI salon, you can find them all in my article on Huffington Post Style. Merry Christmas and Happy New Year. See you in 2014! I had all of these grand plans to do a number of holiday-themed videos on the Daily Connoisseur this year and then, lo and behold, the holidays crept up quicker than I anticipated! 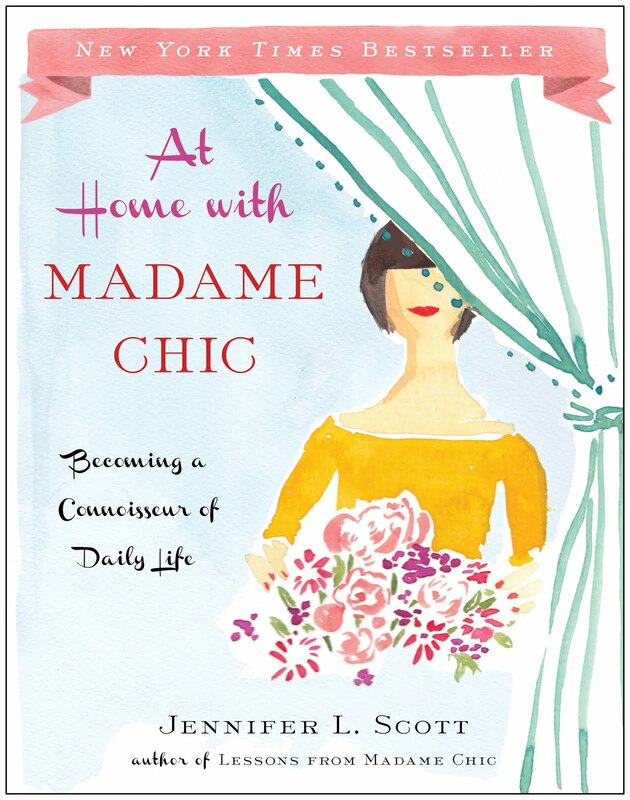 I must have been distracted working on the second book, which I am happy to report, was just turned in to my editor, Trish Todd, at Simon & Schuster. Woo hoo! So this week's video, Holiday Chat, discusses two topics to make up for lost time. First we talk about high and low budget decorating. I show you my citrus fruit ornaments that I did a tutorial on last year, and introduce you to my favorite decoration, my Kay Burkart Santa Claus... a true work of art! **Update- Many people have asked where I purchased my Kay Burkart Santa. I purchased him locally from Stephanie Grace Designs in Santa Monica. The video also gives you my top gift book recommendations. I love receiving books as presents and you are sure to find something for everyone on my list. 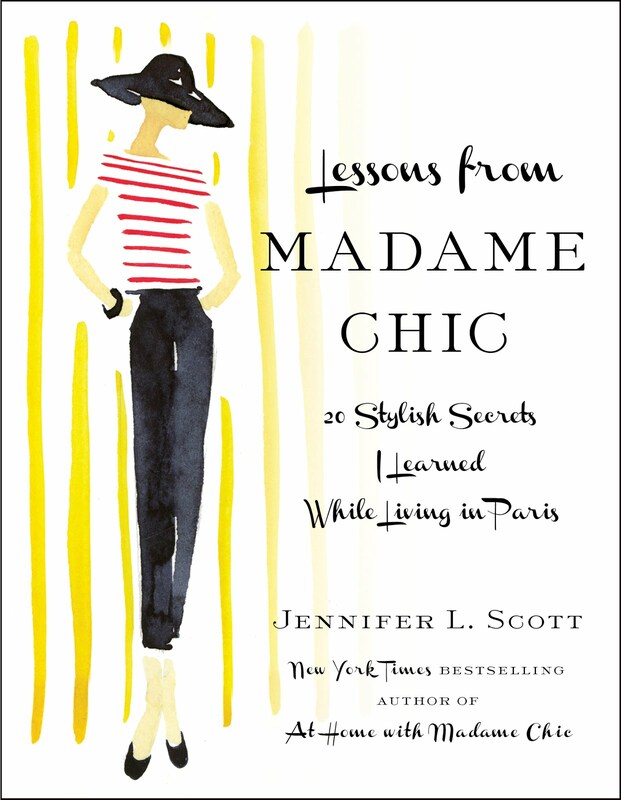 Lessons from Madame Chic makes Martine Holston's 2013 book list as her top French lifestyle book of the year (and she read 5 in the same genre). Thank you Martine! Check out the list here. You all know how much I love my Clarisonic Mia. I've been using it for years and it's one of those tools that I think is really invaluable for preserving beautiful skin. Many of you have written to me saying you'd love to own a Clarisonic, but it's not in your price range. But first, what everyone wants to know: how does the Spa Sonic hold up to the Clarisonic? This week's video gives you my in depth review and allows you to see both skincare brushes up close. ✦ The Spa Sonic is battery operated, whereas the Clarisonic requires a charger. ✦ The Spa Sonic brush head physically rotates in a circle, whereas the Clarisonic brush head vibrates. ✦ The Clarisonic is programmed to run for one minute. There is no timer on the Spa Sonic. ✦ The Spa Sonic includes four different attachments including: face brush, body brush, pumice stone and facial sponge.The Clarisonic Mia is only a facial brush. The Clarisonic is still the Rolls Royce of skincare brushes because of all of the technology behind it, but the Spa Sonic is an excellent runner up and is a great choice for people who cannot afford the Clarisonic. The Spa Sonic normally retails at around $60 (It's often on sale. As I write this it's available for $32 at Target, etc.). Spa Sonic is kindly offering to give away one Spa Sonic skincare brush to a reader of the Daily Connoisseur! This giveaway is open to US residents only (Spa Sonic's guidelines, not mine). Please enter via the rafflecopter widget below. I will announce the winner one week from today. Best of luck! Is it me? Or does this hairstyle remind you of Samantha from Bewitched? This modern take on the popular top knot has a very decided vintage feel to it... and I love it! Natasha Sunshine, founder of BYUTI Brentwood, shows us how. Thank you to Natasha Sunshine and the entire team at BYUTI for collaborating with me on this fabulous hair tutorials! I know the title is scintillating. A Ten-Second Updo? Well, we take a little more than ten seconds in this video because of the demonstration, but once you practice this easy updo, you'll be able to master it in ten seconds flat. 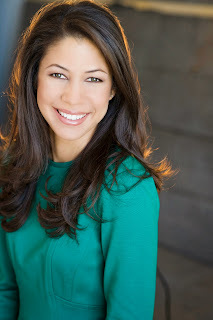 Natasha Sunshine, founder of BYUTI Salon in Brentwood, shows us how. First, secure your hair into a low side ponytail with a hair elastic. Then secure the bottom of the hair on the ponytail with an elastic, being sure to grasp on to a few strands of hair that are sticking out. Then gently push the bottom elastic until it meets with the top elastic. Wrap the long strand of hair that you have held onto around the updo. Secure with four or five bobby pins. Set with hairspray. There is background noise in these videos. A viewer said she was annoyed by it in the comment section of the last video. We started shooting early in the morning when the salon was empty, and as the day went on, it filled up with customers. Pretend you are watching one of those fabulous backstage fashion show hair tutorials, which always have ambient background noise. Focus on the good, not the "bad". You could watch it on mute and still understand the tutorial. Don't be annoyed, be happy! Many people are asking where my dress is from. It's the Tory Burch dress featured in this year's fall/ winter ten-item wardrobe. Many people also ask where the music is from. It is royalty-free music I have purchased from pond5.com. On YouTube you must use royalty free music. It's expensive! But you guys are worth it. ♥︎ The manuscript for my second book is finished! My agent and I turned it into my editor this week. I love this book so much and I can't wait for you to read it. So far it is scheduled to come out around Christmas 2014. I will keep you updated. 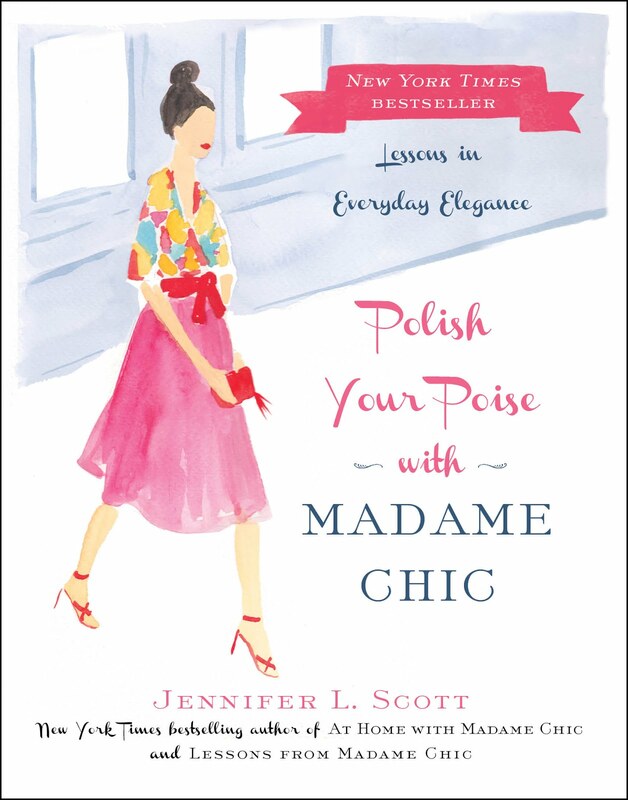 ♥︎ Lessons from Madame Chic is now going into its 4th printing! Also, Marshalls and TJ Maxx are now carrying our book. Thank you so much for keeping it going. It truly is the little book that could. A few weeks ago, as you know, I visited BYUTI Salon in Brentwood, where I go to get my hair done, to shoot hair and makeup tutorials. Last week you saw me with makeup artist, Georgette, and we learned a take on the modern smoky eye. Today you are going to meet my hairstylist and the founder of BYUTI Brentwood, Natasha Sunshine. Natasha and her entire staff are incredibly talented. Every six weeks when I go to get my haircut I know I'm in for a treat! Today Natasha is going to show us how to create glamorous and voluminous waves, perfect for the upcoming season. To create these voluminous waves, Natasha recommends using a curling iron with a small barrel. Create curls in alternating directions as you go around the head, being sure to spray the hair with hairspray before curling. When the hair has cooled off, gently brush out the curls. Voilà! The hairspray Natasha uses in the video is Pureology Strengthening Control Hairspray. As a celebration to kick off the month of December, I'm going to be posting three videos this week! Look for the other two hair tutorials I shot on Wednesday and Friday of this week.